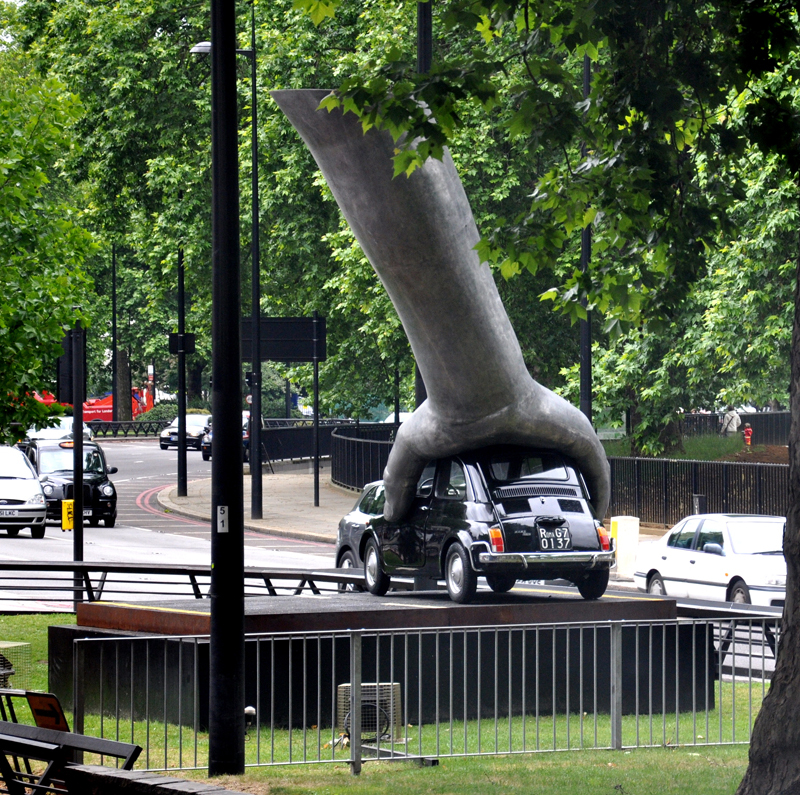 “Vroom, Vroom”, Lorenzo Quinn, 1966, London. If you took turn number one then you have every reason for concern based on the point Paul is making from Israel’s history. All of Israel experienced the miracle of the exodus but not all of Israel reached the Promised Land. Why not? Because they died in the desert. Why did they die in the desert? Some of them idolized a lifestyle of entertainment and self-gratification (v. 7). Some of them engaged in sexual immorality (v. 8), the very concept of which has become alien to our overly permissive and over-sexualized culture. Some of them questioned God’s very intentions for them (v. 9). Yet others of them grumbled against God’s leadership (v. 10). Paul’s point is that it’s not enough to have received Christ and to self-identify as a believer. True believers keep moving actively toward the Promised Land. To stop moving forward is to start craving evil. Let’s not do that. Instead, let’s ask our gracious Father, “What is the next step for me?” We can get there, together. This entry was posted in Religion and tagged 1 Cor 13 on February 24, 2013 by Steve Godfrey.